Guests spend about four hours at this attraction. Includes access to all North Pole Adventure activities. Looking for an amazing way to celebrate the holiday season? 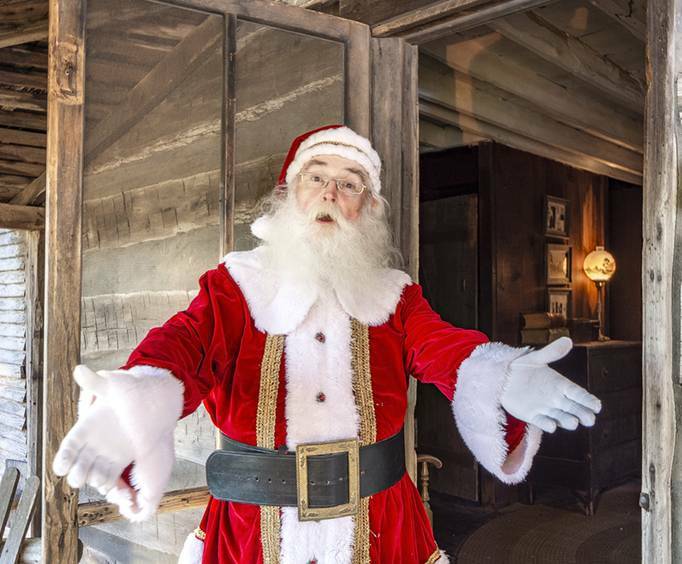 Make sure to head to the North Pole Adventure at Shepherd of the Hills. This amazing holiday attraction brings so much joy and fun to guests and truly captures the reason for the season with beautiful decor and more. Guests can participate in a ton of fun Christmas-themed activities. See Santa and his elves, walk a gorgeous lighted path filled with Christmas trees and thousands of sparkling Christmas lights, visit a petting zoo, compete in fun mini-golf, and even take to a fun maze. There's so much to do and see, so bring the entire family along with you. Upon arrival, guests will be greeted with the elaborately decorated Christmas Court is one of the crowning jewels of the North Pole Adventure celebration. This court is illuminated by thousands of beautiful Christmas lights that help to create a picturesque scene straight out of a Christmas movie. There are also stunning half-century-hold trees decorated and storefront windows all decorated with the spirit of the season. At the beginning of your journey through North Pole Adventure, you will also find Jingle Junction is home to all of the fun activities! Kiddos and kids at heart are sure to have a blast. Get in some friendly competition with mini-golf, conquer the barn maze, swing around the treetop village, visit the adorable animals at the petting zoo, participate in fun Christmas crafts, and more. The little ones can also take to the Little Elves Obstacle Course to burn off some energy! Once you've had your fill of Christmas fun at Christmas Court and Jingle Junction, head to Old Matt's Cabin for a unique and memorable display. Guests will see an array of 100 Shepherd Hook Lanterns for a beautiful scene. 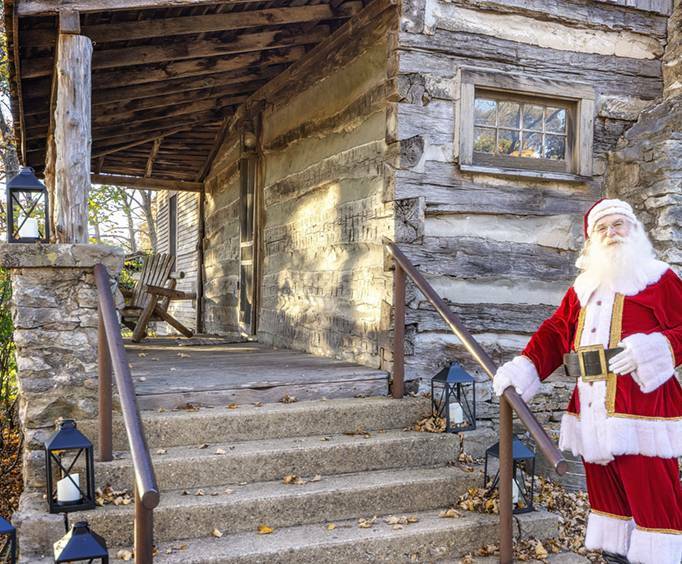 Guests can also see the elves that run the area as you see the gorgeous, historic cabin aglow. Silent Night will serenade guests during this visit. Let it snow, let it snow, let it snow! At Stardust Mill & Snowflake Hill, which is the next stop during your visit, guests will be transported to a white Christmas. See the elves going about their tasks and more than fifty life-size snowflakes and the 42-foot-long Merry Christmas sign. Your favorite classic Christmas songs will greet you. Then it's off to Tree Top Lot and Candy Cane Lane! This tree lot maze is sure to be a blast! Guests will be surrounded by the stunning decor, great music, and sparkling lights while they find their way through the trees. Watch the elves as they entertain with holiday cheer. Candy Cane Lane features life-size candy canes and falling snow and guides the way to the North Pole Tower. For even more adventure during your Christmas celebration, head to the North Pole Tower. Also known as Inspiration Tower, this 200-foot tower takes guests up to see the decoration from an aerial view. You'll ride to the top on an elevator that grants astounding views of the area below, and you'll be able to visit Santa here. The smell of warm cookies and the promise of Santa awaits you at the North Pole Tower, and you'll be able to visit with him and his elves! Join him at his towering display of lights and trees to tell him what you want for Christmas! After your visit with Santa and perhaps a zip line adventure or ropes course (offered Friday through Sunday), guests will follow a lantern-lit path to the White Sided Church in the Woods. 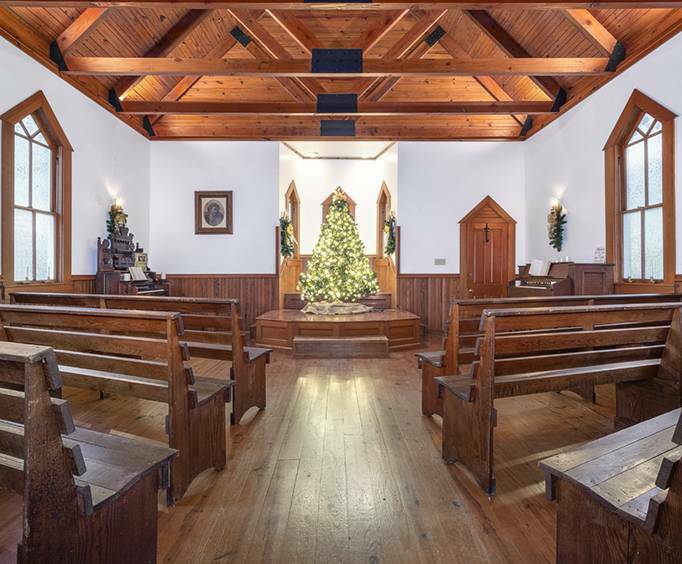 It is decorated beautifully and guests can listen to Christmas music while seeing the Holy Family Statues and the altar. On the Final Loop, guests will follow another path alit with glowing lights, Christmas trees, and fun decor for the finale of the night. The North Pole Adventure at Shepherd of the Hills is sure to be an unforgettable time. Be sure to bring the whole family to create new lasting traditions with these fun activities.